We introduce ourselves. We are Mr. Gianrico Fichera and Mr. Maurizio Intravaia. We have a consulting company in Catania, Italy, named “ITESYS SRL” ad we give from 15 years consulting services to Telecom company for Internet services. Sicily is in the center of the Mediterranean sea and is a strategic point to build an Internet point for connect together all the Internet Networks. 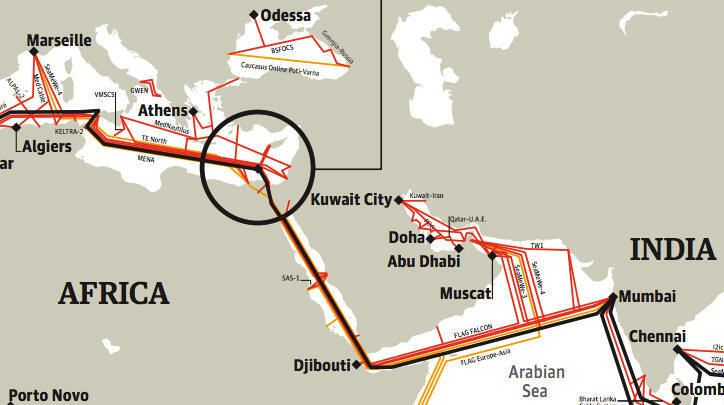 This kind of places (named IXP) are only in the Center and Nord of Europe but the future is the Mediterranean and Middle East area but now we are only a transit point for the fiber optics like you can see in the figure below. The Internet control is strategic and we think that we should open a new and unique connection point to give better services between Middle East, Europe and Asia. Your contribution would be used to offset such costs as Internet devices to connect the network together and fmantain the structure. This structure should have one node in a strategic location in Catania. Through this letter we require your financial support for this strategic and very important projects. Your support for this project would be greatly appreciated by everyone involved. We would like to tell you in person about the possibilities that the project involves and to introduce you our idea in the location that you prefer.